New Zealand’s first Spinal Cord Injury Research Unit, dedicated to gaining a better understanding of the causes of disability following injury and to developing new treatments towards a cure, will be launched at The University of Auckland this week. The research unit, based in the University’s Centre for Brain Research and established through a generous half million-dollar donation by the CatWalk Spinal Cord Injury Trust, will provide a focus for expertise and maintain spinal injury research models for researchers from throughout New Zealand working on spinal cord injury and repair. In addition, the unit will grow international collaborations, as well as playing a key role educating students in spinal injury research, raising clinical awareness and training emerging neuroscientists. Current research carried out by Professor Louise Nicholson, Professor Colin Green and Dr Simon O’Carroll at the Faculty of Medical and Health Sciences has discovered one of the critical changes that take place after spinal cord injury is an increase in the number of communicating channels, called gap junctions, between nerve cells. These channels play a major role in spreading the damage from the site of injury to areas that would otherwise not be affected. The team has developed and tested small molecules called mimetic peptides that function to block these channels. 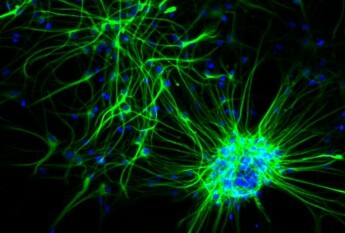 Using models of spinal cord injury they have shown that delivery of this peptide early after an injury prevents inflammation, protects nerve cells from death and leads to improved locomotion. The Spinal Cord Injury Research Unit will open on Friday 12 August, ahead of the Black Friday Trust Dinner that evening. The dinner is organised by the New Zealand Rugby Players Association, and will host rugby players including the All Blacks to raise funds for spinal injury. One third of all the funds raised at this event will go towards the new research unit. Every five days, a person suffers a spinal cord injury in New Zealand. The average age for an accident is 26 years, with a greater proportion of men being affected due to violence and sports related injuries. Rugby, boxing and diving participants are particularly prone to suffer injury. The CatWalk Trust is a long-term sponsor of the Brain Bee Challenge competition for high school students since 2007.